Pinot Meunier (sometimes just called "Meunier") is a red-wine grape of the Pinot family (which famously mutates easily), most closely related to Pinot Noir. Pinot Meunier seems to have emerged as a distinct varietal about five centuries ago. At one time, it was widely grown throughout northern France; it is still prevalent, but is now especially concentrated in the Champagne region, where it is one of the three major grapes used in the making of sparkling Champagne wines, to which it contributes body and richness. It is also nowadays starting to be bottled as a monovarietal red, though such bottlings are still not common. 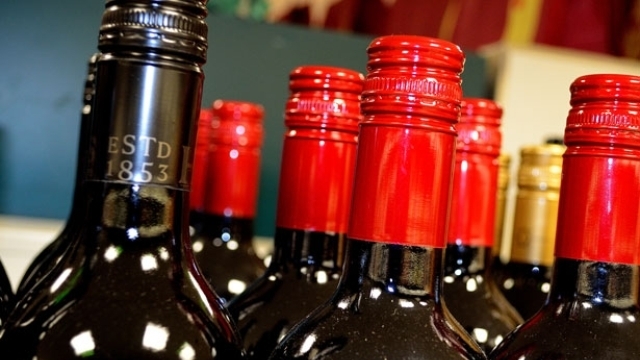 It can be vinified as a red of some depth, or also as a rosé, or as an off-dry red, even occasionally as a white wine; it is the table red that is of most interest among the monovarietal bottlings. In Champagne, for no clear reason (some trace it back a prejudice of the original M. Moët), Pinot Meunier was long somewhat disdained, considered a "minor" component of Champagnes; more recently (though the house of Krug championed Pinot Meunier throughout), it has come to be seen as important and durable, and some excellent makers are now even producing 100% Pinot Meunier Champagnes. The idea that Pinot Meunier, as a blending ingredient or on its own, does not age well is belied by numerous counter-examples, but it continues to be parroted. Pinot Meunier as a monovarietal table red shows clear similarities to its more famous cousin, Pinot Noir, but has a distinctive qualities all its own. Such wines are typically light to medium in body and fruity in aroma and flavor, often richly so. Some describe a "smoky" quality, others refer to a "rustic" quality (whatever that may be suposed to indicate, possibly what others call "earthiness"). Flavors cited range from the typical red berries (especially raspberry) through the darker blue-black fruits (such as blueberry), as well as an background of "spiciness". In France, it is felt that by far the best Pinot Meunier comes from old vines (something true of many varietals), so New World specimens may not have as much depth as the grape is capable of. There seems little awareness so far of monovarietal Pinot Meunier, and the literature readily available is sparse; that is a great shame, as it is a delicious wine. Factoid: Pinot Meunier is genetically a "chimera": its inner cell layers are composed of a Pinot genotype which is close to Pinot noir or Pinot gris; the outer, epidermal, layer is however made up of a mutant, distinctive, genotype. "Compared to Pinot noir, Pinot Meunier produces lighter colored wines with slightly higher acid levels but can maintain similar sugar and alcohol levels. As part of a standard champagne blend, Pinot Meunier contributes aromatics and fruity flavors to the wine. Champagnes with a substantial proportion of Pinot Meunier tend not to have as much significant aging potential as champagnes that are composed primarily of Chardonnay or Pinot noir. It is therefore most commonly used for champagnes that are intended to be consumed young, when the soft, plushy fruit of the Pinot Meunier is at its peak. A notable exception is the Champagne house of Krug which makes liberal use of Pinot Meunier in its long-lived prestige cuvees." "But a few producers out there – almost exclusively outside of France, in places like Germany, the U.S., and Australia – do produce red 100% varietal Pinot Meunier. Those wines may be tough to find because of their scarcity and the fact that most Pinot Meunier planted in those countries goes into sparkling wines, but they are worth seeking out, as they are usually light, crisp, highly drinkable red wines with a surprising level of complexity to them, wines that with a slight chill on them rival roses as the perfect quaff on a hot summer’s eve." "Though Meunier is rarely sold as a single varietal it still covers over 1/3 the vineyards in Champagne. Slightly higher in acidity that Pinot Noir, the grape from which it most likely mutated. Similar flavors and aromas to Pinot Noir are common, though with less earthiness and more of a high-toned citrusy character. 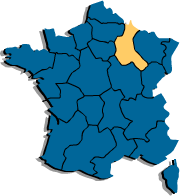 In addition to the vast Champagne vineyards Meunier can also be found in many still reds of the Loire valley, most notably those of Moselle, Touraine and Cotes de Toul. 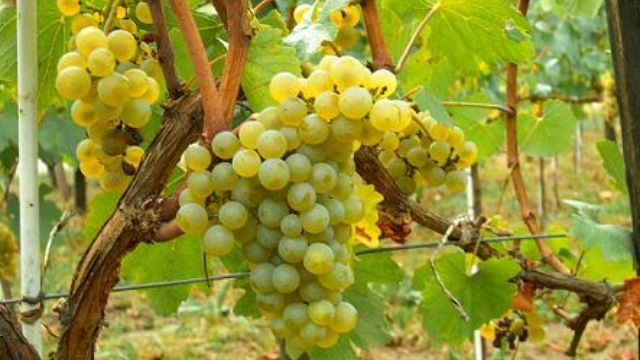 In the Wurttenberg area of southwestern Germany it is known as Mullerrebe and Schwarzriesling. Pinot Meunier may also be found in the traditional method sparklers from Australia and Carneros. Meunier takes its name from the bottom of its leaves which are white as if coated with flour (meunier is French for 'Miller')." "Winemakers across the pond hardly have a monopoly on this grape. A handful of American winemakers craft wine with this varietal as well, though their focus is on still, dry wine, not bubbly. Among them are: Long Island’s Duck Walk is the only winery on the East Coast to produce a still, dry wine exclusively from Meunier. The wine is light-bodied with fleshy notes of raspberry and a touch of smokiness. River Road sources their fruit from the Russian River Valley, crafting a wine with lots of depth and style. This version is more old world in style, with notes of blueberry, ginger and spice. Novy Family Wines – owned in part by Adam and Dianna (Novy) Lee of Siduri Wines - also makes a still Meunier that’s big and bold with notes of raspberry fruit. And, at sparkling wine estate Domaine Chandon, their Meunier is still, not bubbly. It also shows the wine’s fruity flavors of cherry and raspberry with hints of earth and oak." "But about a dozen American wineries say the French have got meunier all wrong. Instead of making white wine out of it, Yankees are fermenting pinot meunier on the skins and making red table wine, as they do with merlot, cabernet and syrah. They’re doing so not to be different but simply because pinot meunier tastes better than most winemakers or wine drinkers realized it could." "Pinot Meunier can be used to make still red wines that often are fruit-forward in flavor and light in tannin, akin to Pinot Noir. . . Meunier is winning over fans who like its bright, fresh flavor of raspberries and cranberries, balanced with tannins. Best drunk after less than a year or two in the bottle, it has a tangy, refreshing finish that begs another sip." " Champagne makers look to Meunier for body enhancement or plushness. The wine is high in acid and light in color. Considering today’s consumer trend for drinking wines that lean into their acid profiles, why isn’t more Pinot Meunier bottled unblended as serious red wine?" "The overall impression from this wine is very similar to Pinot Noir and I would have liked to taste this side by side with a Pinot Noir from the same vintage and producer to see what the differences really are. If I had this served to me at a blind tasting, I would peg it as Pinot Noir every single time and probably wouldn't hesitate about it." "Short longevity also keeps it from many appearances bottled as a stand-alone varietal red wine, although some areas of France bottle a rosé made predominantly from meunier." "If you can find a bottle or decide to order online, you’ll first notice the ruby to magenta color, and an unexpected level of translucence. It’s this same light color that keeps you from ever seeing it when blended into Champagne. You’ll find bouquets of cranberry and cherry, but you should also notice a particular scent pinot meunier is known for — smoke. 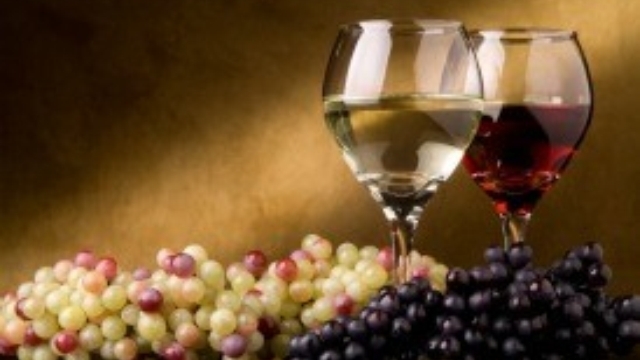 The grapes themselves have a natural smokiness that comes straight through to the wine. Take a sip and the fruity flavors will dominate. You’ll likely pick up notes of strawberries and raspberries. Pinot meunier has relatively high acid levels, so you’ll find that they are brighter and crisper than most reds, and you’ll sometimes pick up a tart cherry flavor." "If you do find a standalone still Pinot Meunier . . . you’re likely to find 'a dry, fruity wine with a slightly bitter taste. Its color is light red or rosé, and the crisp wine has an acidic tone and a slight smokiness. It is a medium-bodied wine with a strong aroma of alcohol.'" "The wine is Pinot Noir’s rustic country cousin…Mary Ann to Pinot Noir’s Ginger. It is overladen with wonderful plummy fruit, great aromatics, and is a wonderful accompaniment to all kinds of food." There is a surprisingly high number of monovarietal Pinot Meunier red table wines to be found for sale, but the great majority are over—most well over—our arbitrary $20 price limit, or are very scarce, or both. If you want a reasonably available Pinot Meunier for under $20, your choices are few, and those we list below (and most or all push that $20 envelope rather hard). But, though the choices may be few, the wine is well worth a go. ♦ Light medium cherry red color with pale meniscus; cherry, baked raspberry nose; creamy textured, ripe cherry, raspberry, raspberry syrup palate; medium-plus finish. 90+ points. ♦ The color is a light transparent ruby red, kind of like cherry jello. Upon first giving it a sniff, I got some floral notes, but they were somewhat quickly replaced by cherry and earthy aromas. Light red fruit and earthy flavors(I'm not good at getting more specific on this front yet) with a bit of lemon zest and oak(not overwhelming, just barely there in a support role) on the palate. The mid-palate shows some smoky-leathery flavors (the producers description said pumpernickel, maybe that is what I was getting) with some nutty notes towards the finish. It was very well balanced, light, and almost delicate. Reminded me of some lighter Pinot Noirs I've tried that weren't too fruity. It was seriously a pleasure to drink. ♦ Fresh picked cherries on a hot day + served w toast w juicier all warm red cherry palate, savory mineral accents + finish. ♦ Love the aromas: spicy black pepper and green herbs, loamy soil, on top of red apples and sour cherries. On the palate this sports refreshing acidity on a frame of noticeably grippy tannins. Plenty of fruit in the form of ripe cherries and plums, but I love the non-fruit complexity: black pepper, smoke, earth, cedar and dried roses. Very pleasant now, but this could improve over the next three to five years. 89 points. ♦ This is a highly unusual wine made from a traditional Champagne grape variety, with 12% of the South African Pinotage variety blended in. Aromas like dried herbs and cedar, intriguing flavors like black tea and pomegranate juice and a beautiful balance between acidity, ripeness and a lightly tannic texture make a compelling combination. 91 points, Editors' Choice. ♦ The nose shows red fruits, strawberry and cherry, and pencil lead. Tarter red fruits show on the palate, cranberry and redcurrant, along with sage and pencil lead. Flavors don’t change, but deepen on the mid-palate, while the pencil lead lingers on the finish. Tannins sneak up on the mid-palate and finish, smooth and drying. Drink with roast pork loin. Recommended. 88 points. ♦ The 2012 Saint Gregory Pinot Meunier…is a redheaded beauty that's rarely found as a single varietal, and it has generous notes of gingerbread. ♦ [P]ronounced earthy, mushroomy character, with some cherry fruit and noticeable tannins. ♦ Juicy and crisp with tangy acidity and racy berry fruit; silky and long with fresh flavors and a long finish. 88 points. (Russian River Valley, California. Apparently only available at Total Wine outlets). ♦ River Road sources their fruit from the Russian River Valley, crafting a wine with lots of depth and style. This version is more old world in style, with notes of blueberry, ginger and spice. ♦ A boutique-scale release, the 2008 Russian River Valley Pinot Meunier is vinted from the second crop of this more productive cousin of Pinot Noir, and owes its concentration to late-picked, Lilliputian clusters. Wild grape, violets and juicy Beaujolais-style flavor finishes on a firm, plum skin note. ♣ Sonoma County harvest Fair (2010), Gold Medal. ♦ Light in color and weight, this is a nicely composed Pinot Meunier. Old world in style, it's integrated in raspberry fruit and a hint of mint, making it soft and easy to drink. 88 points. ♦ River Road also won a silver medal [at the fourth annual Sommelier Challenge] for its 2011 Russian River Valley Pinot Meunier. Pinot meunier is typically used in sparkling wine and Champagne blends, but there are a handful of producers who make a table wine from this fairly rare grape variety. The problem here is simply availability: there are praiseworthy Pinot Meunier bottlings from not a few estimable vintners—Van der Kamp, Novy Family Winery, Bouchaine, La Rochelle Winery, Bjornstad, just to mention a few—but all are available only from a very few retailers (typically one or two, or often just the winery itself). The one exception is the widely distributed Domaine Chandon Carneros Pinot Meunier, from the noted champagne maker.